The diminutive Doug Martin is aptly nicknamed Muscle Hamster, clocking in at 5’9″ and 223. A versatile back, Martin tore it up at Boise State. He finished his college career with 4146 yards from scrimmage, 47 receptions, and 47 TDs. Martin had back to back 1,200+ yard seasons, including a whopping 6.3 yards per carry in 2010. 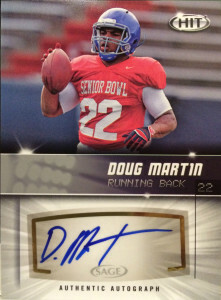 Martin was selected with the 31st pick of the 1st round in the 2012 draft by the Tampa Bay Buccaneers. He was considered the second best RB behind Trent Richardson. Martin reminds many Buc fans of former Tampa runningback Warrick Dunn, both in size and playing style. Doug charged out of the gates his rookie year starting all 16 games and put together a 1454 yard 11 TD effort, to go along with 49 receptions. He finished with 1926 yards from scrimmage and earned a Pro Bowl appearance. In 2013, Martin took a bad fall jumping on a ball and landed on his shoulder. He tore his labrum and was placed on IR ending his season with only 456 yards rushing. In 2014, Doug sprained his ankle, and injured his knee, holding him out of 4 and a half games. He’d finish with 494 yards. Most fans wrote off Doug Martin going into 2015, but he rebounded to form and had another solid season with 1,402 yards on 288 carries, and 33 receptions for 271 yards. He’d total 1,673 yards from scrimmage and earn a Pro Bowl and his first All Pro nomination, after finishing second in the league behind Adrian Peterson in rushing. Going into 2016, Martin was considered the marquee available runningback available in free agency. He tested the waters but decided to remain close to home, inking a new contract with the Buccaneers. He’s broken many of the records held by Buccaneer greats such as James Wilder and Warrick Dunn. One of the younger brothers of Minnesota Vikings runningback and Stanford graduate Tony Gerhart, in 2011, Garth garnered Second Team All-PAC 10 honors for his blocking at center for Brock Osweiler and the Arizona Sun Devils. A 4 year letterman that played in 39 games with 35 career starts, Garth played all the interior positions of the line for the squad, and also appeared in the 2012 East-West Shrine Game, and the 2012 Senior Bowl. At 6-2, 302, Garth was invited to the combine, ran a 5.29 40, and bench pressed 225 lbs 25 times. 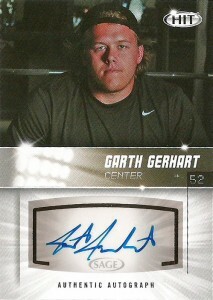 A big-motor guy, who puts in good effort, and finishes blocks strong, Gerhart is considered a leader among his peers. Garth was viewed as a late round prospect, but ended up going unselected in the 2012 draft. 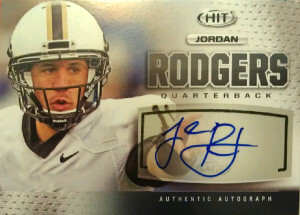 The Cleveland Browns signed him to a free agent contract shortly after the draft concluded. Since that time Garth has bounced around the league splitting time with the Packers and Panthers. He was promoted from the practice squad and signed to the active roster of the Packers before the beginning of the 2014 season and played in 2 contests.